If this is your first time remodeling your flooring or your fourth time, 2 Day Flooring will steer you in the right direction of finding the most durable, high quality, and beautiful flooring for your home. 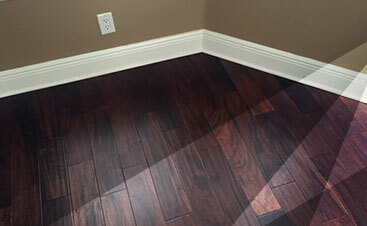 When you come to 2 Day Flooring, we’ll ask you about the type of flooring you’re interested in. We’ll ask you questions such as: Do you want wood flooring? What are your feelings about laminate flooring? Did you know tile flooring is great for kitchens? Are you interested in luxury vinyl flooring? Each of these questions will help us figure out what you’re interested in for your flooring and how we can best accommodate your needs. 2 Day Flooring wants to meet your goals when it comes to flooring. We know the importance of durable, gorgeous, top-quality flooring. After all, it’s the focal point of any room. When you walk into a house, kitchen, living room, or dining room, you always look around the area to take in the decor, the furniture, and the floor. We take note whether the floor is clean, dirty, or if there’s a unique carpet that pulls the room together. It’s important to find flooring that best compliments the room and draws the eye when you have visitors in your home. At 2 Day Flooring, we’ll help you pick out the right flooring for your home, so you’re able to feel comfortable, confident, and calm about your choice in flooring. 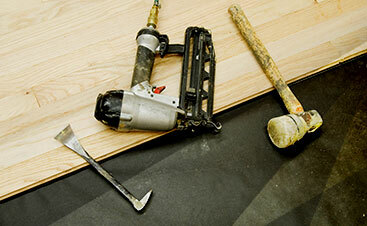 When you work with 2 Day Flooring, you’ll be working with an expert. Have you ever went into a remodeling project feeling confident and collected that you made the right decision? Well, now you will with 2 Day Flooring! By working hand-in-hand with you, we’ll be with you every step of the flooring installation process. We’ll work with you to make sure this is what you’re looking for when it comes to your flooring. We’ll provide you with the utmost expertise in the field. So much in fact, that you won’t be able to find another who beats our level of proficiency. We’re locally owned, so you won’t have to deal with those big guys who don’t have the proper time for you. Instead, our flooring installation process will give you the stress-free environment you want when you’re designing how you want your flooring to look. When we work with a customer, our top priority is providing you with the results you want so you can look upon your flooring years to come with a smile. Below we have an array of different flooring brands to pick from for your home. Our goal is to offer you the highest quality flooring brands. We provide an assortment of flooring brands, so you’re able to have your pick of the best brands. From Mohawk to Wood Classics and more, you’ll find the brand you want and need to ensure your flooring in your home looks spectacular. When you choose 2 Day Flooring, you can be confident that you’ve picked an unbeatable expert flooring company that will provide you with superior results. Take the time to pick the flooring brand you want below and with promptness, our flooring service will get in touch with you for a free in-home flooring estimate.